If you don't know what the Higgs boson is (and you're not a physicist) then don't feel too bad. For us non-physicists, the concept is fascinating, but still rather obtuse. If you are a physicist and don't know, then you may consider seeking a different profession because this has been one of the most, if not the most, compelling questions in science for the past forty years. Discovery of the Higgs boson could have profound ramifications on how we know our universe and even our very existence. The media has bestowed upon the Higgs boson the unfortunate nickname "the God Particle," a name universally loathed in the scientific community for its pretense. Peter Higgs, one of the original theorists and for whom the particle is named, prefers to call it the "so-called Higgs boson," recognizing, with characteristic modesty, that he was not the sole scientist who worked on the original theory. Whatever you wish to call it, you'll have to wait at least through next year for the big news. In 2012 a particle was discovered at CERN that is a likely candidate for the Higgs boson, but the Large Hadron Collider at CERN is undergoing maintenance and doesn't come back online until next year. 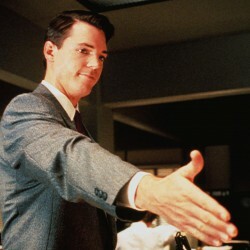 In the meantime, you have the opportunity to bone up on particle physics before then. A good way to start is with Ian Sample's Massive: the missing particle that sparked the greatest hunt in science. Now that we've got that settled, Massive is a surprisingly understandable and entertaining account of the search for the Higgs boson. Sample does an admirable job of making this concept something even I can understand (even if tenuously) and does so in an often dryly humorous manner. But even though the book centers around the Higgs theory and other related theories, the real story is about the scientists behind the search, the sometimes cutthroat competition and raging egos between them, catastrophic setbacks and the media, who does their best to misunderstand the concepts in favor of big headlines. ★★★★✩ (4/5 stars): Massive is an excellent account of the search for the Higgs boson, and the exciting part is that the search is on-going, with potentially significant results next year. Maybe most important is Sample makes science accessible and engaging and to wrap your mind around this stuff really makes you feel more in tune with the world around you and realize what an amazing thing life and the universe can be. 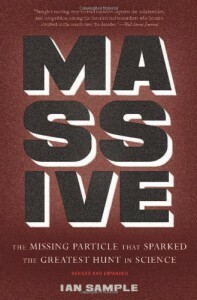 Despite the lack of photos or illustrations, Massive is fascinating and a must for science buffs. Originally published in 2010, try to find a newer copy published in 2012 with a new afterword by Sample and is more up to date.